I want to know the people that did this wallpaper, is wonderfull!!!! the only problem is that there is not franky and broock could fix that? could i talk with the owner? 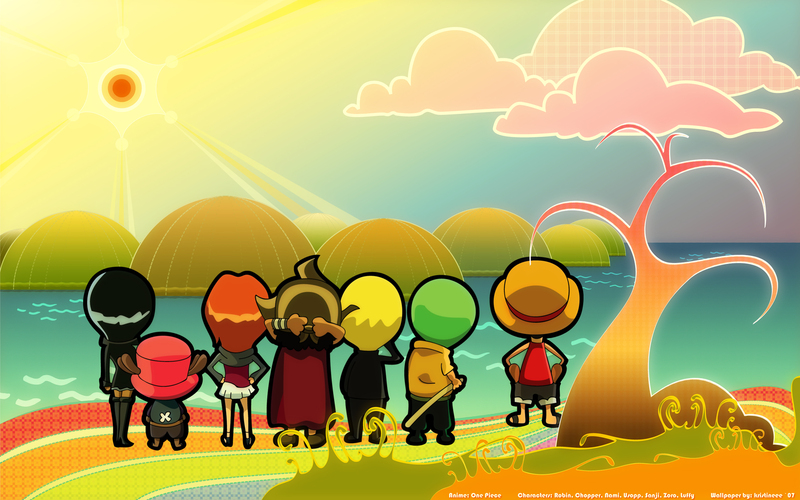 Franky and Brook were added to the crew after the wallpaper was made, year stamp in the lower righthand corner shows 2007.